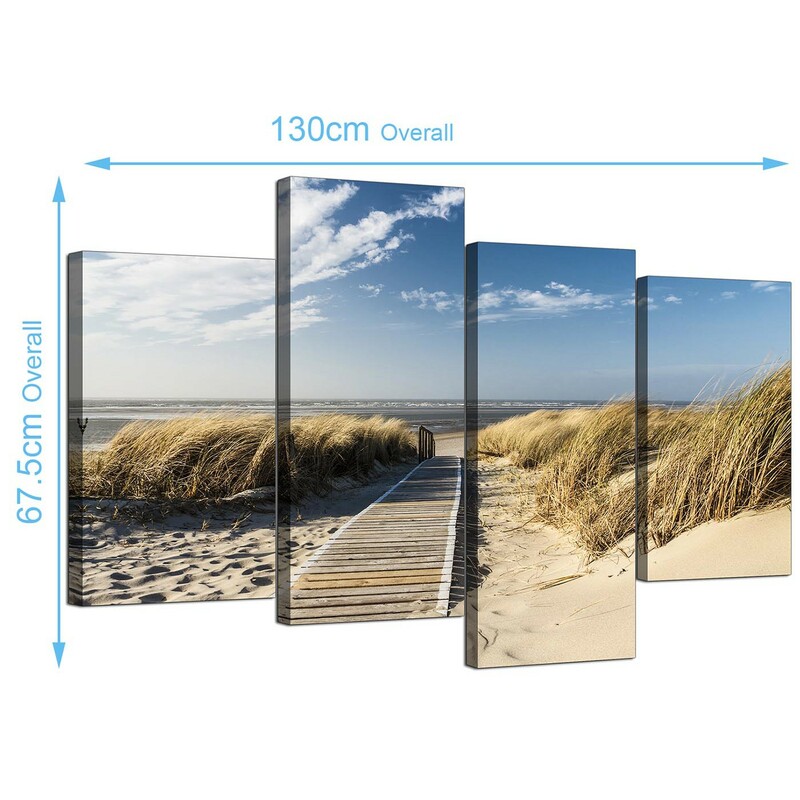 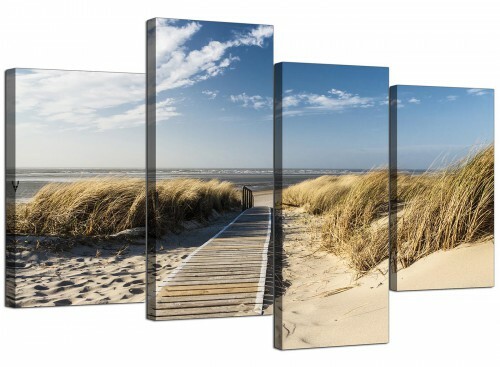 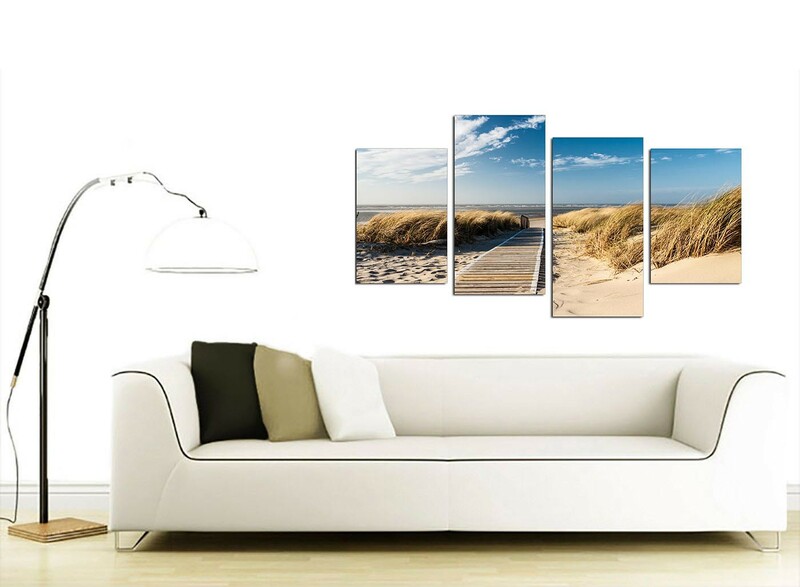 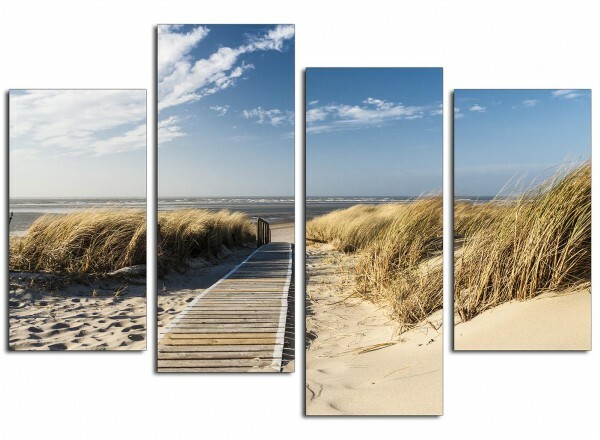 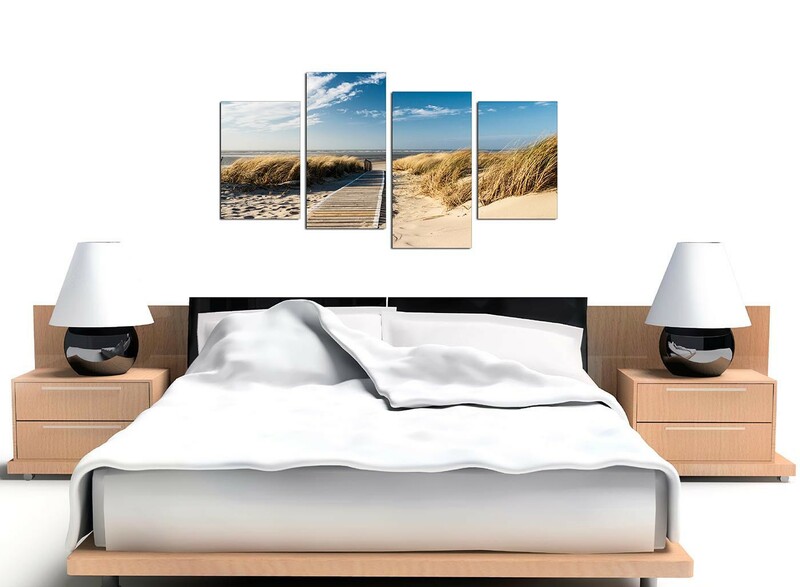 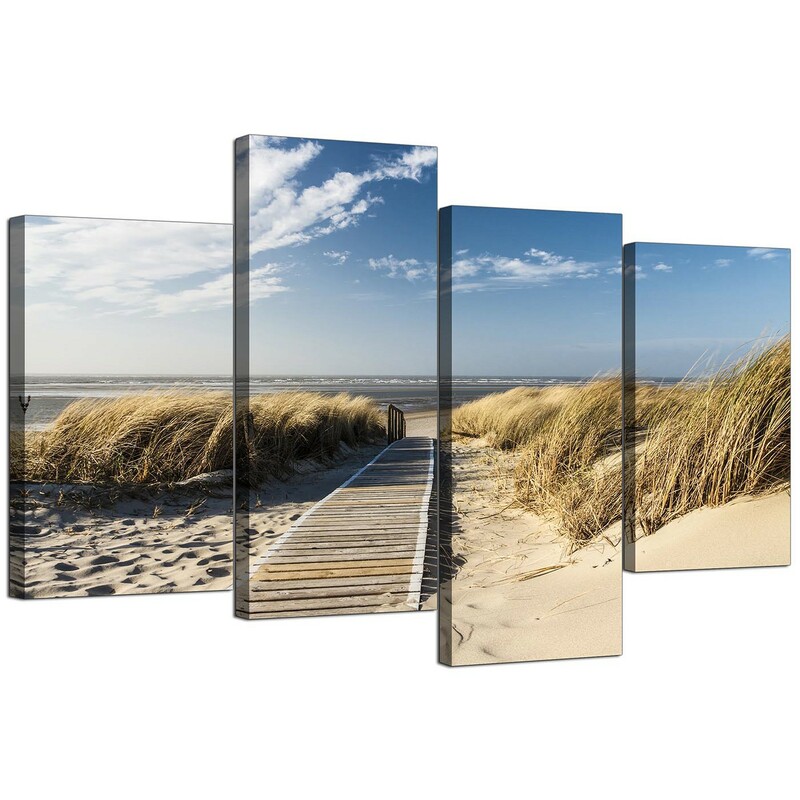 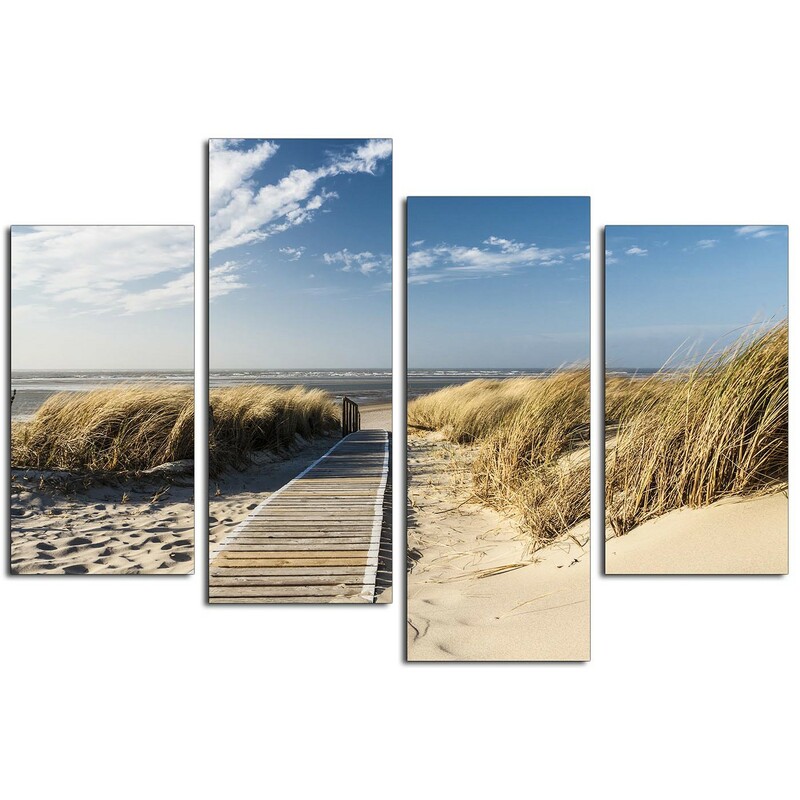 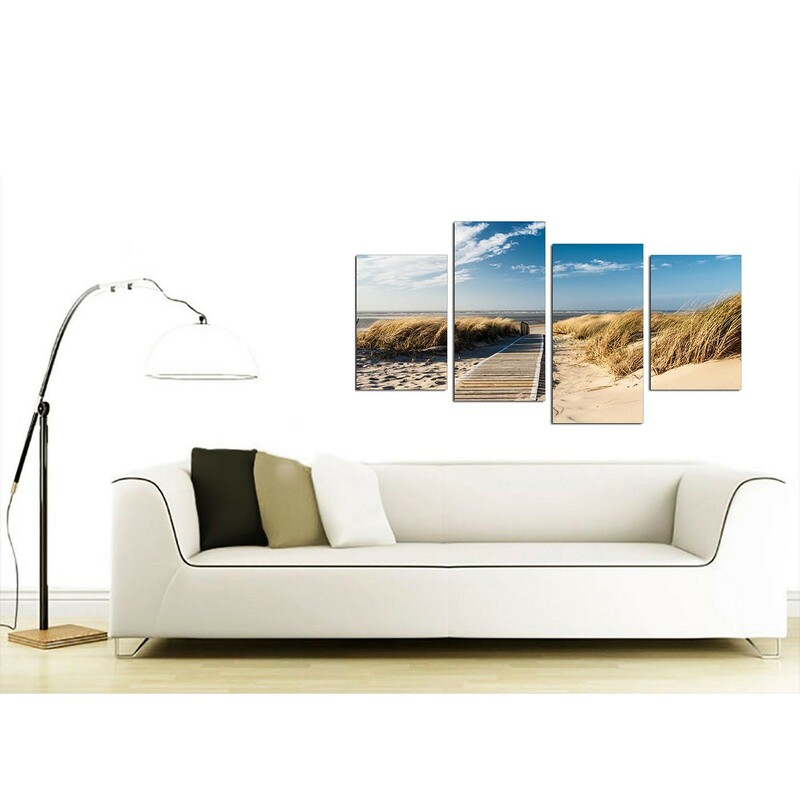 Cheap canvas prints of a boardwalk leading through sand dunes to the beach and sea. 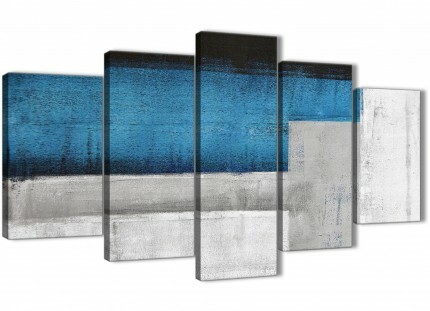 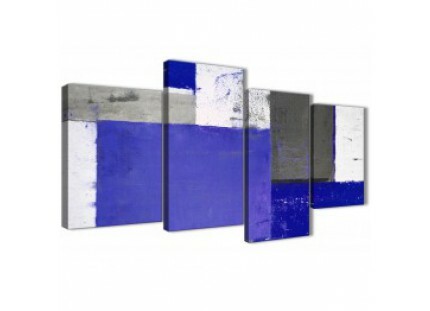 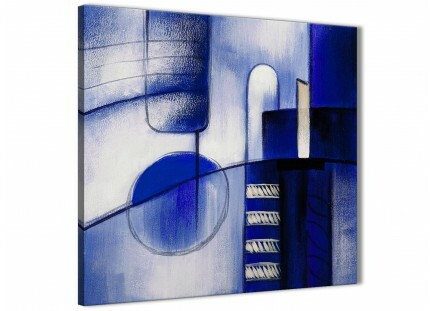 An extra large blue elegant set of four part canvas prints. 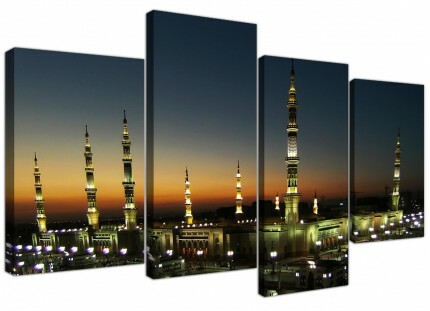 Suitable size for above your bed. 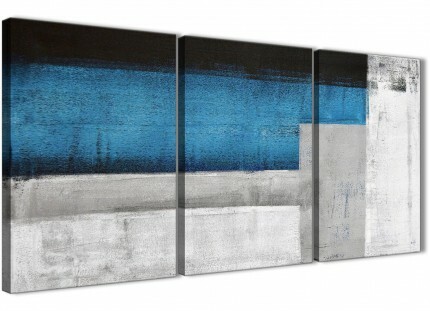 Size: 130 x 67cm in total. 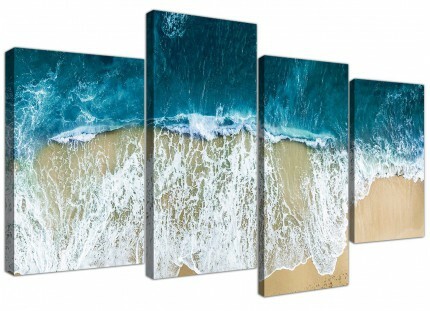 Both outside canvases measure 12in by 18in. 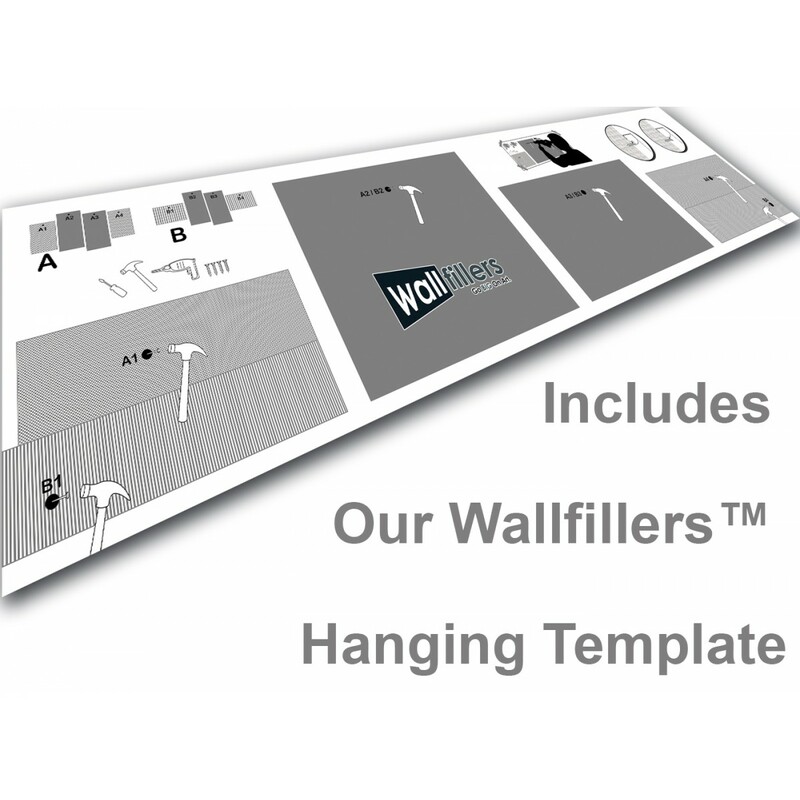 The inner panels measure 12in by 24in. 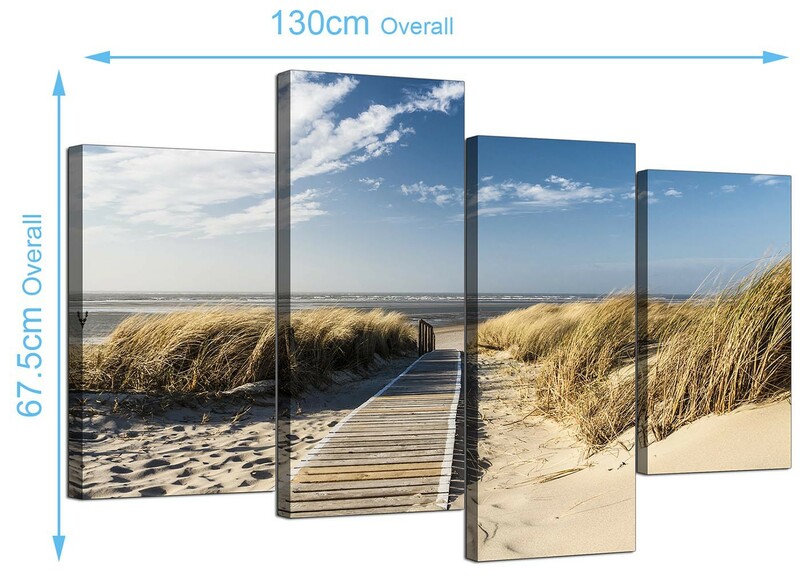 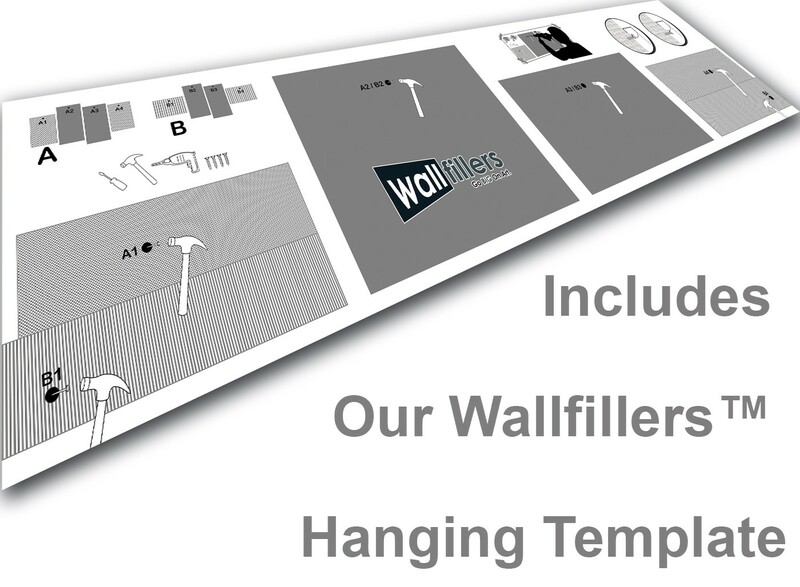 We advise a gap of 2.5cm between panels.